Mount Merapi in borders of Central Java and Yogyakarta provinces spewed a column of volcanic ash 5,500 meters high on Friday, forcing residents living in the slope to flee homes, disaster agency official disclosed. The rumbling volcano situated in the borders of Klaten, Magelang and Boyolali districts erupted at 07: 30 a.m. Jakarta time, spreading sands and pyroclastic materials to the sky, spokesman of national disaster management agency Sutopo Purwo Nugroho revealed. Volcanic ash rain has occurred in Tugu Kaliurang of Sleman district of Yogyakarta and is forecast to persist in the south of the crater, he said. To prevent the risks especially on respiratory, the local officials have distributed masks, Sutopo added. "Local disaster agency has instructed the villagers living in the radius 5 km from the crater to evacuate to barrack set up for evacuees. The people have responded it," he told Xinhua in a text message. A 3 km no-go zone has been declared by the volcanology agency. 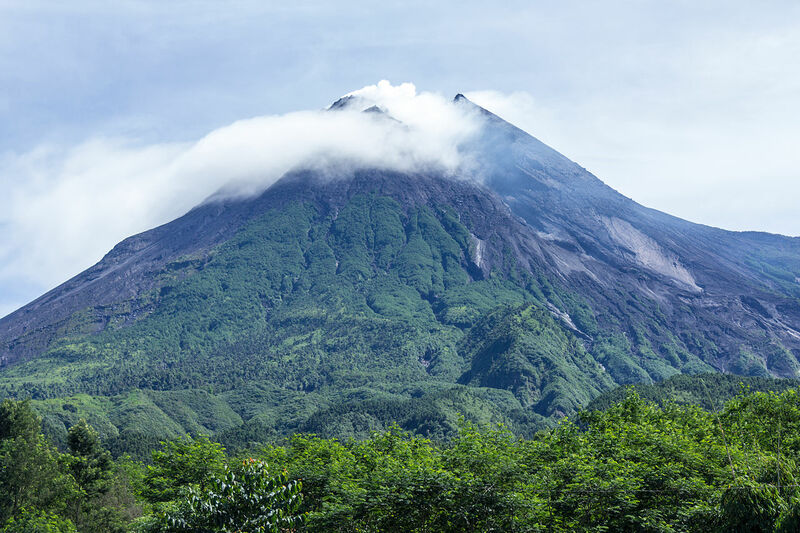 Mount Merapi is an active stratovolcano and has regularly erupted since 1948. It is located about 28 km north of Yogyakarta city which has a population of 2.4 million and thousands of people live on the flanks of the volcano. Pyroclastic flow from a large explosion killed 27 people on November 1994, and another large eruption occurred in 2006. Mount. Merapi is one of Indonesia's 129 active volcanoes.